In this 3-part series, we take a look at some of the frequently asked questions that we hear from our readers and answered by matrimonial lawyers, Dorothy Chai and Chong Yue-En from Dorothy Chai and Mary Ong Law Practice. In the last part of this series, the lawyers answer questions relating to assets and maintenance. Read the first 2 parts of the series – divorce proceedings and custody, care and control of children. Question 1: How will assets be divided during divorce proceedings? Yue-En – To answer this question, we have to understand the term “assets” and then the division of assets. Matrimonial assets refer to assets acquired during the course of the marriage from the beginning to the end of the marriage. The end date could be the separation date, date of the court hearing or when the divorce papers are filed on a case by case basis. Such assets include the matrimonial home, investment properties, CPF monies, bank account, investment funds, stocks and shares, cars, or even wine or art collection. As for assets acquired before marriage, for example, a property your husband purchased in his sole name before marriage, if you can prove that the property has been enjoyed by you and/or your family during the course of the marriage, this will transform this asset into a matrimonial asset. Direct financial contribution – monies you paid towards the acquisition of the asset, improvement of the asset, renovations, fixtures (as when you shift out of the house and the fixtures still remain in the house). Indirect financial contribution – Marriage is a collaboration of 2 people. If you are a homemaker and you stay at home to take care of the house and children so that the husband can focus on his career, this is recognised and the court does take this into consideration when deciding on the division of assets. The main principle of assets division is the just and equitable division. On top of the above points, the court also looks at the needs of a child, such as the child needing a roof over his head. Dorothy – I would sum it up into three factors – direct financial contribution, indirect financial contribution, and indirect non-financial contribution. The cost of the property is $1 million and your husband paid $700,000 while you paid $300,000. In percentage terms, the husband receives 70% while the wife receives 30%. However, you can increase your share using the indirect financial contribution and/or indirect non-financial contribution. This is where whilst your husband may have used his money to pay for the house, you had used your money to pay for the upkeep and maintenance of the house, payment for the renovation, furniture, fixtures, and fitting of the house, clothes, groceries etc. In such an event, you can ask the court to take this into consideration and increase your share of the assets. This is what Yue-En had mentioned earlier about homemakers. The court is of the view that marriage is a partnership. It could be that you are a homemaker taking care of the family and house while your husband focuses on his career. The court will look at all these factors together and decide on a percentage. Question 2: What about HDB flat if I am under 35 years old? Have a question on Family Law? Get a quick consult from Yue-En or other lawyers with similar expertise for your questions on family law. You can expect a call back from the lawyers within 1-2 days, to give you practical legal advice, all for a transparent, flat fee starting at S$49. Alternatively, you may also wish to request a quotation from Dorothy Chai. This article is written by Dorothy Chai and Yue-En Chong from Dorothy Chai and Mary Ong Law Practice and edited by Sharon Tan from Asia Law Network. Dorothy Chai is the Managing Partner of the firm. 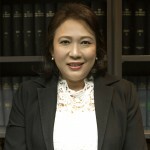 Dorothy was called to the Bar of England and Wales (Gray’s Inn) in 1993 as a Barrister-at-Law and admitted as an Advocate and Solicitor of the Supreme Court of Singapore in July 1994. She is an experienced matrimonial and divorce lawyer who has dealt with all aspects of family and matrimonial law. She has been appointed Counsel by her fellow practitioners in complex matrimonial disputes which speaks for her acceptance amongst her peers. She has successfully handled many divorce proceedings where the divorce, custody of children, division of assets and maintenance have been contested. Significantly, Dorothy has taken part in several high profile cases involving individuals of high net worth following their marital breakdown. Recently, she has also single handedly successfully argued before the Court of Appeal a landmark case which made significant developments in important areas of family law. The complexity of the facts and the novelty of the points of law was not only acknowledged by Members of the Singapore Bar but was also used during one of the finals of the Mooting competition held between the NUS and SMU students. Whether in court or in mediation, Dorothy uses her independent and analytical mind to bear on legal problems. Equipped with strong interpersonal and communication skills interfaced with sensibility, Dorothy strongly believes in handling her clients' individual needs and emotions with sensitivity and compassion. Which Business Structure Should You Choose? Company, Partnership or Sole Proprietorship?